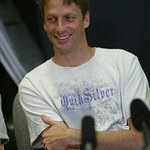 Skateboarder Tony Hawk is to hold a family festival in Las Vegas that features music, action sports, and a unique auction to benefit at-risk youth. The Las Vegas Strip has seen some incredible productions over the years, but Saturday, November 7 will mark the first time the world of action-sports descends upon the Wynn Las Vegas resort for a day of fun and festivities for the whole family, all to benefit an important cause. Join Tony, fellow Benefit Committee members Sean Diddy Combs, Jamie Lee Curtis, Dana White, Jr., Ron Burkle, Michael Eisner, Andrew Pascal, Elaine Wynn, Lorenzo Fertitta, Frank Fertitta III, Robin Greenspun, Travis Barker, and Jeff Fine, and their celebrity guests for an exclusive afternoon of fun, games, music, skateboarding, and BMX, while helping the Tony Hawk Foundation bring free, quality public skateparks to youth in low-income communities across the U.S.
Tony Hawk: RIDE Presents Stand Up For Skateparks is an outdoor action-sports carnival, featuring a Vert Demo with top skateboarding and BMX pros, including Tony Hawk, Bucky Lasek, Jamie Bestwick, Andy Macdonald, Simon Tabron, Lyn-Z Adams Hawkins, Dennis McCoy, and Kevin Staab riding on Hawk’s personal ramp, plus a special musical performance by Rancid. This Reigning King of the asphalt jungle is a one-of-a-kind custom ride, including 372 Horse Power 5.7-liter HEMI® V8 engine, 22" Custom TIS Luxury Wheels with Pirelli Tires, Tony Hawk detailing (including Logo Embroidery on Headrest), SAVV DVD Player with two 7" monitors, Rockford Fosgate 10"subwoofer box with 200-watt amp, and more! The winning bidder will get a full-body scan and have a character created in his or her likeness to appear in the next Activision Tony Hawk game. You and three others will have the exclusive chance to be backstage to see how a superstar concert works. Spend the day with the crew bringing Miley’s show to life and enjoy the show from the side of the stage—plus a special meet and greet with Miley! Enjoy (2) travel letters good for roundtrip travel on JetBlue Airways, from any city to any nonstop city. Enjoy seven-nights in a 4-bedroom beachfront Grand Villa for up to (8) adults and (4) children, including river rafting, waterfalls, zip lining, sailing, snorkeling, kayaking, surfing, and much more in this luxurious, private resort. The Ultimate Jason Taylor Experience – Your Experience will include four (4) tickets to a Miami Dolphins home game of your choice, four (4) pre-game field passes that allow you access to the sideline, an autographed football, a personal tour of the Miami Dolphins training facility, plus a 30-minute training-film session with Jason Taylor! Mita resort development at the north shore of Bahia de Banderas, 40 minutes north of Puerto Vallarta. Includes villa staff, houseman, maid, cook and concierge service. Ten (10) youths will experience a soccer clinic with one of the worlds greatest, Mia Hamm, who led the U.S. to gold medals in the Olympics and victory in the World Cup. Includes autographed Nike soccer balls for each participant. Clinic to take place in Los Angeles. Several other unique items and experiences will also be offered, including a 7-Time Tour De France Champion Lance Armstrong Autographed Trek Bike, Tony Hawk Signature Series Autographed Dynacraft BMX Bike, signed skateboards from Tony Hawk, Shaun White, Ryan Sheckler, Paul Rodriguez, and others, plus other signed memorabilia, dining and vacation packages, and items that would make excellent Holiday gifts. Tickets and packages for Tony Hawk: RIDE Presents Stand Up For Skateparks are still available. Order Tickets here or contact C.C. Hafner at 760-477-2479 or cc@tonyhawkfoundation.org. If you aren’t able to attend Tony Hawk: RIDE Presents Stand Up For Skateparks but would like to support the creation of a free public skatepark in a low-income neighborhood in Las Vegas, you can text the word RIDE to 90999 to make a $5 donation to the Tony Hawk Foundation*. Through Friday, November 6, all text donations will be dedicated to the rebuilding of Freedom Skatepark in Las Vegas. For more info about the event, go to the official website.